There is an art to dining. 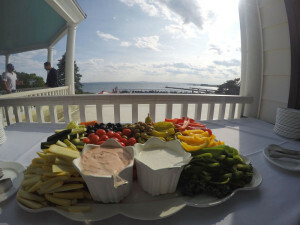 Food is our substance but it is also social – a time to gather, share and savor the tastes from our gardens, farms and oceans. 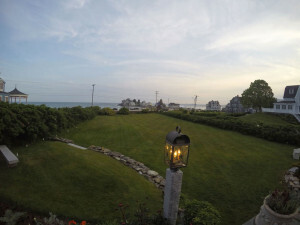 The Kennebunkport Festival is all about the celebration of fine food and wine, enjoyed in beautiful settings, complimented by art, music and conversation. 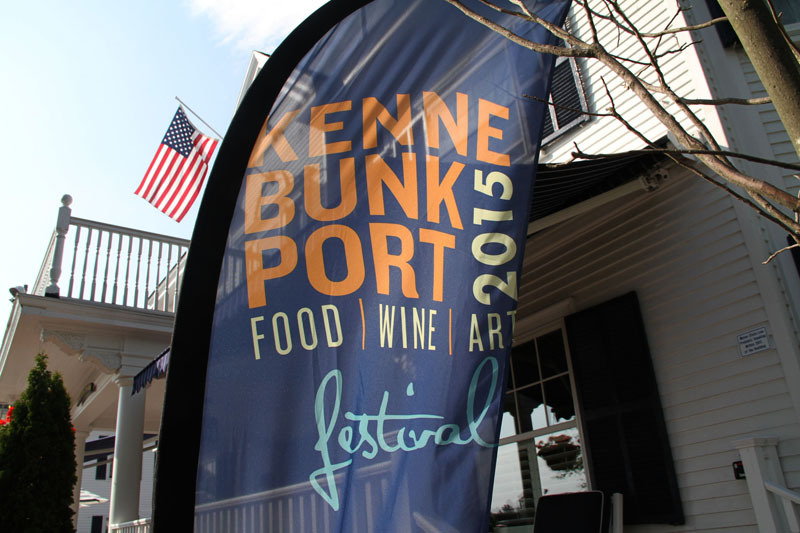 In its 15th year, June 4-9, 2019, the Kennebunkport Festival brings together top chefs, proud homeowners, foodies, locals, and talented artists – to enjoy the bounty of creative cuisine in good company. 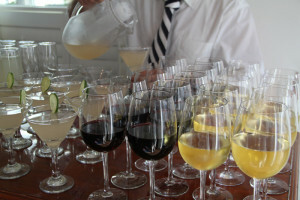 Our Wednesday night’s Fest was the perfect summer evening in Maine… magical…starting with a cocktail at The Colony. This grand 1914 hotel was the elegant setting for festival goers to sip Crown Royal infused drinks on the expansive porch overlooking the Atlantic. I love this hotel – so reminiscent of the good ole days when folks came to K’port for the entire summer, with their steamer trunks full of fabulous dresses, hats and gloves. And I love the Kennebunkport Fest for bringing back some of that style and sophistication. How gallant to see guys in seersucker, ladies in gowns. And that was just the pre-party, followed by a dozen private dinner parties. 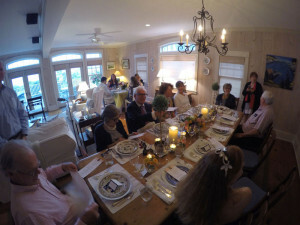 Our host for the evening Art of Dining was Anne Raffaelli in her beautiful beach view home. We enjoyed delicious green hummus “Conversation Noshes” (love that description) and golden watermelon gazpacho paired with Prosecco on the patio, listening to the surf and meeting our dinner companions from near and far. Inside we were seated at a beautiful table, with the amazing artwork of David Witbeck from Maine Art Gallery on display, and the sights and sounds of our culinary team prepping our feast in Anne’s fantastic kitchen. Rodney Strong wines were presented with each course, along with anecdotes about the dancer turned vintner from our Sommelier. Chef Harding Lee Smith, of Portland’s Room restaurants – The Grill Room, Front Room and Corner Room, introduced each of his artful dishes, citrus-cured Fluke fish, the most delicious Octopus ever, and a mouthwatering and monstrous wild King Salmon that Chef brought to the table – whole – and served with local asparagus and ramp butter. Everything was delicious and gorgeous, down to the dessert custard presented in delightful jam jars topped with fresh cherries paired with a dessert wine. 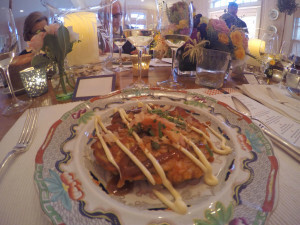 The Kennebunkport Festival proceeds this year are going to the local Maine charity – Full Plates Full Potential. Well, our plates and cups overfloweth, ‘twas a most memorable night. We didn’t make the After Party at Stripers at The Breakwater Inn. 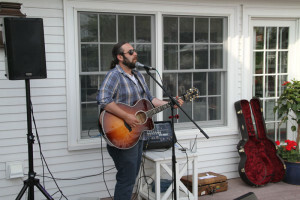 You need to pace yourself during Kennebunkport Festival – so many fun parties, so much delicious food and drink. 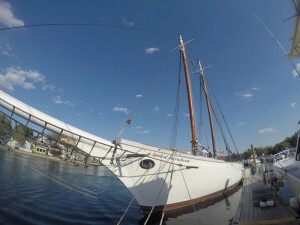 Thursday is the Spirit of Maine party under the big top behind the Pilot House. Friday is the Village Art Walk as galleries offer an open house format at participating art studios in Lower Village and out Ocean Ave, from Galleries at Morning Walk to The Sharpe Gallery and Maine Art, to Christopher Becker Gallery and Mast Cove Galleries – more than I can mention here. 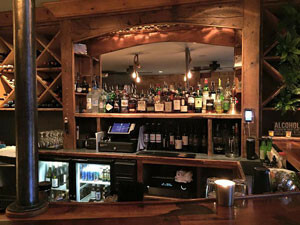 More Kennebunkport Maine events and where to stay, play and dine in The Kennebunks!